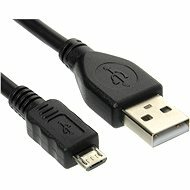 This high-quality USB 2.0 cable allows you to connect your computer with MP3 players, mobile phones, PDAs, digital cameras, and other devices that support this interface. The cable is shielded and tightly sealed. It has a USB A (M) connector and a micro USB B (M) connector. 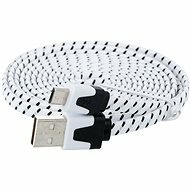 The cable comes in black and is 3m in length. 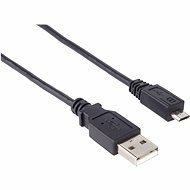 For shipping to other EU countries visit this page OEM USB 2.0 interface 3M A-microUSB black. Für Versand nach Deutschland, besuchen Sie bitte OEM-USB 2.0-Schnittstelle und 3M-Mikroben-. Chcete doručit zboží do Česka? Prohlédněte si OEM USB 2.0 propojovací 3m A-microUSB černý. Chcete doručiť tovar na Slovensko? 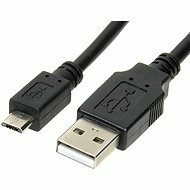 Prezrite si OEM USB 2.0 prepojovací 3m A-microUSB čierny. Für Versand nach Österreich, besuchen Sie bitte OEM-USB 2.0-Schnittstelle und 3M-Mikroben-. Magyarországra történő kiszállításért tekintse meg ezt a termékoldalt: OEM USB 2.0 csatlakozó 3mA-mikroUSB fekete.